Every day, more and more men realize central obesity (beer bellies) and heart attacks don't have to happen. By taking a pro-active, preventive approach to men’s health, any man can stay fit and feel great regardless of age. You don’t have to let a heart attack, stroke and cancer interrupt your life. 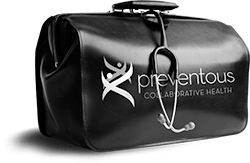 At Preventous, we understand the risk factors men face and are ready to help.